You know what? I made another version of Dalcha. Remember the previous? 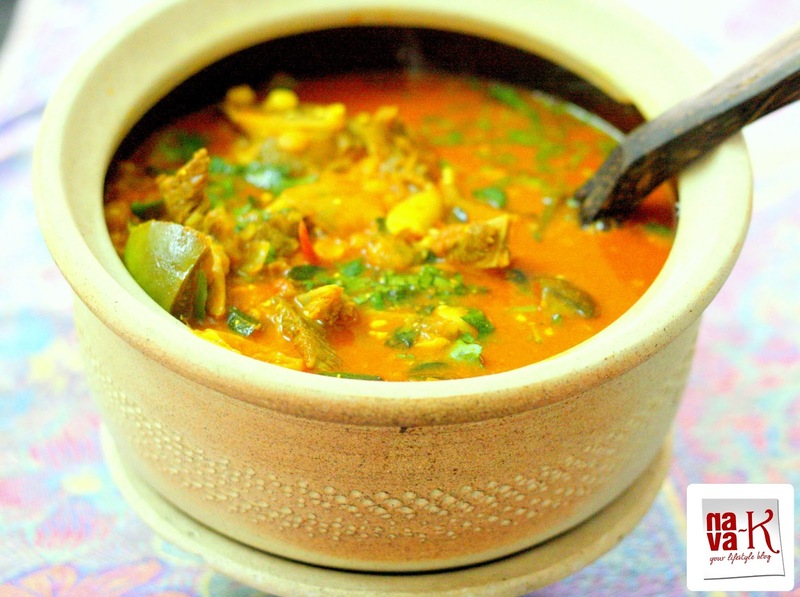 Dalca - Mutton Dhal Curry? That's right. But before you jump the gun, lemme assure you that its not the same. Not similar basically. Another, the other side of mutton and dhal being celebrated as the two core ingredients. Mutton of course, as you know or don't, I won't deny is one of those we long for every now and then until, the various types of mutton dishes I have already shared with all of you (Mutton Parathal, Indian Mutton Meatball Soup, Mutton Soup, Mutton Kurma, Masala Mutton Curry, Mutton Keema & Devil's Curry) speaks for themselves. In fact, if you are asking me, you can go ahead and use lamb as well (Lamb Kofta Curry & Lamb Spaghetti) for dalcha or maybe beef or you think chicken it can be? Of course, like I have already told you, lentils or dhal for our Indian cooking undeniably? You tell me (Mysore Sambar, Dhal Rice, Drumstick Sambar, Fish Sambar & Bitter Gourd Sambar). So, how do we make Dalcha? Listed below are the ingredients. Dhal, mutton, spices, veggies and for the creamy touch, instead of coconut milk, I added yogurt (Vegetarian Mulligatawny Soup). Stir to mix together (2-3mins). Pour 1/2 liter of water. 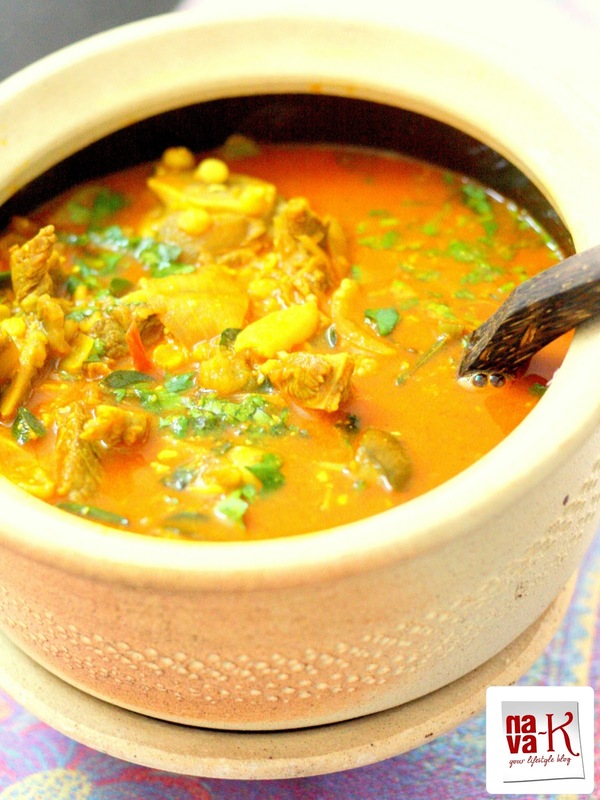 Cook over low heat to soften mutton and dhal. Then add all the spices, tomato, brinjal, curry leaves and salt. Continue to simmer till brinjal is softened. (Note: If you like more gravy, add more water). Lastly add yoghurt and coriander leaves. Give a good stir and off the heat. Delicious curry with dal and meat Nava, Unique combo but flavorful. It's so hard to get mutton over here. Would love to try this. Thks for introducing me to Dalcha! Love the colours! Love Dalcha! I've never used yoghurt in it before, must try it. A good meal on its own. I will happily have this as a one dish meal! mmm that looks yummy, i love the green leaves are they the curry leaves? Isaac - curry leaves added earlier and the green leaves are coriander leaves.